Field archery involves shooting at usually paper or foam rubber targets at varying unmarked distances. The targets are arranged around a course, often in woodland and rough outdoor terrain. 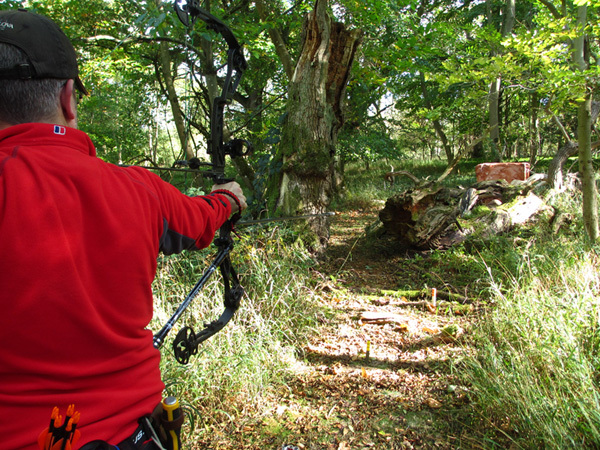 Targets can be 3d or 2d images of animals but British field archery has absolutely nothing to do with hunting, it's a family-friendly sport where the archer is competing against the course layer to hit the targets as accurately as they can. Bow types can differ greatly, from the traditional English Longbow and primitive bows to the more hi-tech compound bows and crossbows. Each bow type has its own challenges. Archers of different ages and with different bows can all shoot on a course together, with scores being grouped by bow style when shooting at competitions. Courses often consist of 36 or 40 targets. Pegs are placed in the ground indicating the position from which an archer is to shoot at the target. To ensure that all archers are safe, there is always a very strict route in which the course is to be shot/walked. Archery does have risks but is an extremely safe sport. Targets have different scoring zones. The challenge comes in the varying distances, natural obstacles and the cunning of the course layer in positioning the targets. Ambitions grow as you feel more comfortable with archery but the joy of aiming at and hitting a target remains with all of us. Many of our club members regularly take part in local and national competitions. 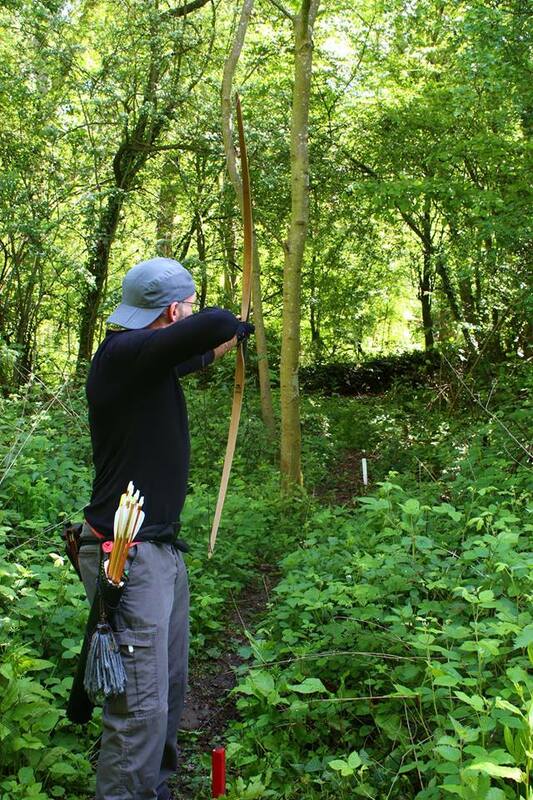 Over the summer months there are also 2-day shoots with camping available, which makes for some brilliant archery weekends away. Every course is different and it's a great way of travelling all over the country and meeting archers from other clubs. Click to see the News page for recent competition news. If you'd like to know more, take a look at the NFAS website.